The morning started off early and warm, and before long several hundred Porsches were off competing in the Mobil 1 TSD (time-speed-distance) Rally. Held every year in conjunction with the Porsche Parade, the rally is an extremely challenging way to enjoy your Porsche while safely competing against a few of your closest Porsche rivals. Armed with a "cheat sheet" provided by Linda and George Guttman, this year's rally masters who had invested over 5000 miles to bring this event to fruition, we set off from the Mobil 1 start at the Pheasant Run resort. Soon the roads took us away from the bustle of St Charles for a scenic ride past corn fields, famhouses and barns surrounding the Fox River Valley. The route, which took us through Blackberry, Sugar Groove, the Fabyan Forest Preserve, the Lone Grove Forest Preserve and many other scenic areas of Northern Illinois, proved challenging for many seasoned rally participants. "The directions were hard this year," said Ellen Beck, navigator for Robert Gutjahr in their 1979 924 Sebring Edition Porsche. Adding to the challenge? The heat. At the final checkpoint, we found Ellen and Robert lying down on the grass under a tree. "This is a Concours car, so the seats are covered in neoprene so they were clean but hot!" said Ellen, who had to contend with the 90+ degree temperatures for the four hour duration of the rally. But the challenge of high temperatures remained second to the difficulty raised by the rally directions themselves. "Ask me if I'm having fun yet!" joked Lee Lichtenstein as he took a short break at the fifth checkpoint, "we've gotten lost a few times!" His co-pilot, seated in their orange limited edition Boxster, smiled in quiet agreement. For a while we followed Porsches of several vintages along the course. One of the best moments occurred when we found ourselves sandwiched between a 1967 912 and a 2011 3.8 GT3 RS, both driving at similar speed along the route. 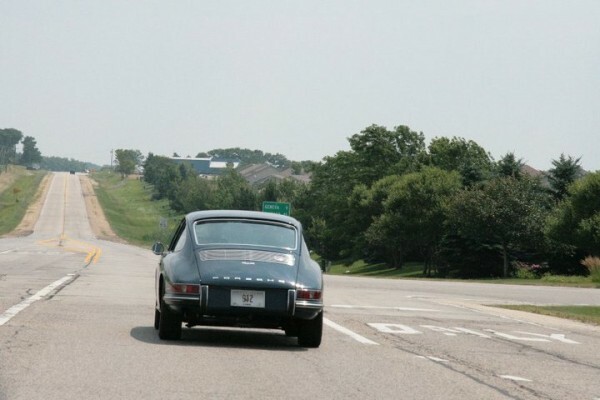 The sounds they made were worlds apart -- the 912's 2 liter engine vs the GT3's 3.8 -- but both distinctively Porsche. Had you asked us which one we liked best, we would have had a hard time deciding. At a checkpoint, we jokingly ask Kathy Baker, the 912's navigator, if she's willing to trade her 912 for a Cayman. "No way!" she replies. The car has been theirs for 40 years and they have memories of shuttling their young boys to Porsche events in the back seats. Soon they're off to complete the rally, so we jump in our car and follow suit. While some participants' tempers were frayed by the heat and level of challenge, others, like Stephanie Economu and co-pilot Kathy Clark, first timers at the Parade and at the Mobil 1 Rally, were all smiles all the way to the end. "We made it!" Stephanie exclaimed upon arriving back at Pheasant Run's Mega Center, where the Mobil 1 TSD Rally team was ready to receive their rally paperwork. Stephanie is a devoted Porsche owner who regularly tracks her car at her home track, Lime Rock. Her Cayman S, she says, "is a great car, so great!" We ask her what oil she uses for her Cayman, and she responds, "Mobil 1, of course!" 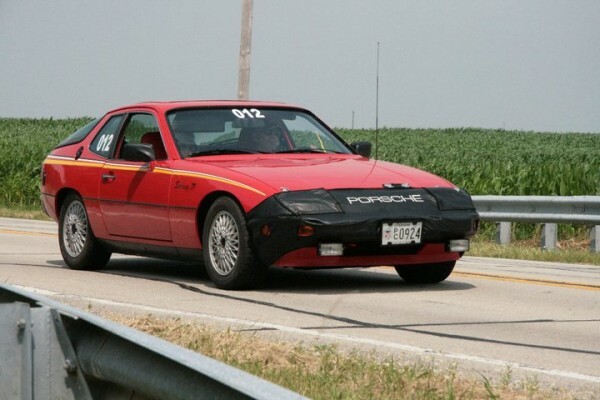 The mixture of challenge and fun is what keeps PCA members coming back to the Mobil 1 Rally year after year. For first-timers Mike and Kathy O'Rear, the challenge proved too much. "We gave up around 2:15(start time of 9:20 am), after lunch time it was all down hill both of us must have been suffering from low blood sugar!" said Mike, adding, "but we had a great time and look forward to doing it again next year!" It remains to be seen whether they drive their 997 or the 356 Mike plans on picking up in Boston this week. Another Mobil 1 TSD Rally is over, and most participants are already looking forward to Savannah in 2011. The 56th Porsche Parade is sure to re-unite Porsche owners new and old to share their experiences about the cars they love best. We're already looking forward to next year! What do you want us to show you from the Porsche Parade? We were soooo looking forward to Vermont too!!! !